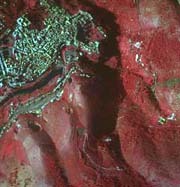 Multispectral remote sensing is a tool for land survey employable both on a local and global scale. Ongoing progress in the techniques of remote sensed data processing and the increasing number of available sensors allow for the employement of remote sensing in a great variety of spatial applications. 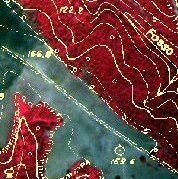 Local Governments, Companies, Research Institutes, but also farming business and freelance activities, have found that this technology is the best and often cheapest solution to make thematic maps, monitor crops and vegetation, estimate the productivity of crops, monitor surface waters etc. TERRASYSTEM has the experience and skills to develop remote sensing applications at every level, from the pre-processing of the images to the setting of algorithms and models for environmental monitoring and management.